They’ve been building towards this. On March 11, it was announced that Concordia would be hosting the 2019 Canadian University Men’s Rugby Championship. After back to back provincial championships and trips to the national championship, the Stingers will get the chance to compete at home at the highest level. Regardless of whether they repeat yet again as Quebec champions, the team has an automatic berth to the tournament as hosts along with one other Quebec team. “The immediate reaction was goosebumps. You always think about winning a national championship. I’ve been imagining it since I came to the program,” said Stingers lock Jackson Marquardt. The tournament is a high profile but young event. This will be just its third edition on the men’s side. Seeing nationals happen at all, let alone at Concordia, is something important for Stingers Associate Director of Athletics and former women’s rugby coach Graeme McGravie. Unlike past years, the Stingers will be enjoying the advantage of home cooked meals, their own beds, and a home crowd cheering them on. That could be the boost they need to push them past their finishes in their last two appearances. After a difficult first year, Concordia surprised opponents in their second trip to nationals with a win over a top team in Guelph. They would fall short of a bronze medal against the University of Victoria. Hosting the tournament after this is a “huge” moment for the program according to McGravie. The team showed a significant jump between their first and second trip to nationals and now get to continue to prove they can battle with traditional schools from out west and Ontario on their home turf. That, coupled with two undefeated seasons in the Réseau du sport étudiant du Québec, have certainly boosted the program’s recruiting profile. 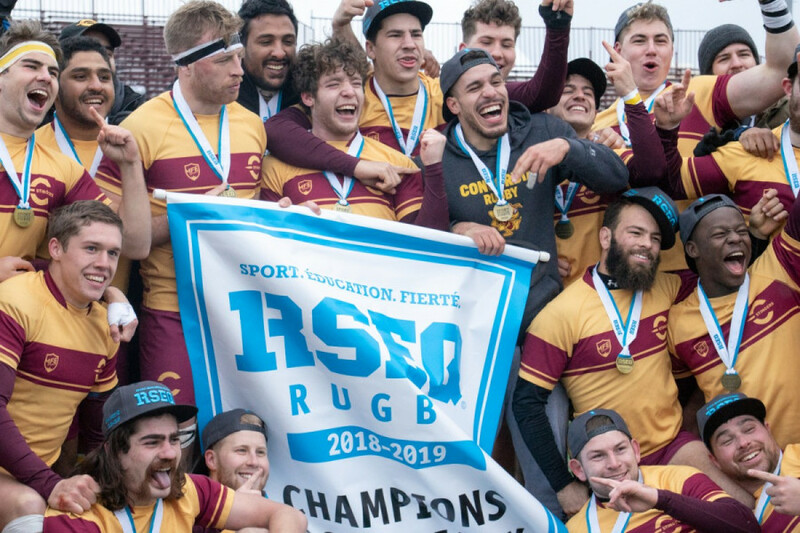 Earlier this year, the Stingers men’s rugby team saw huge successes in their RSEQ Championship win and a trip to Nationals. The level of prestige was a big part of Concordia earning the right to host the tournament. McGravie began to speak with the top people at the Canadian Rugby Foundation and Rugby Canada in Victoria during the 2018 championship. The hope was to move the tournament East for 2019 and he wanted to get Concordia’s foot in the door. A month or so later, McGravie found out that Concordia and one other school were finalists to host. Groups like Tourism Montreal were contacted for potential funding and support and by mid February, Concordia won out the process and knew they would be hosting. “Concordia won the bid based on a good rugby culture, a real willingness to make something special happen, and the best opportunity for our student athletes to shine,” said Gareth Rees of Rugby Canada. A legend in Canadian rugby, Rees is a member of World Rugby Hall of Fame and Canada Sports Hall of Fame. It also helped that Concordia could provide the option of playing in a domed environment should weather be a major concern. Now Concordia and the tournament’s organizers are in prep mode. There are tickets, hotels, and travel arrangements to be organized among other things. The school must continue to prove that they will be able to provide proper playing conditions and continue their work with sponsors. 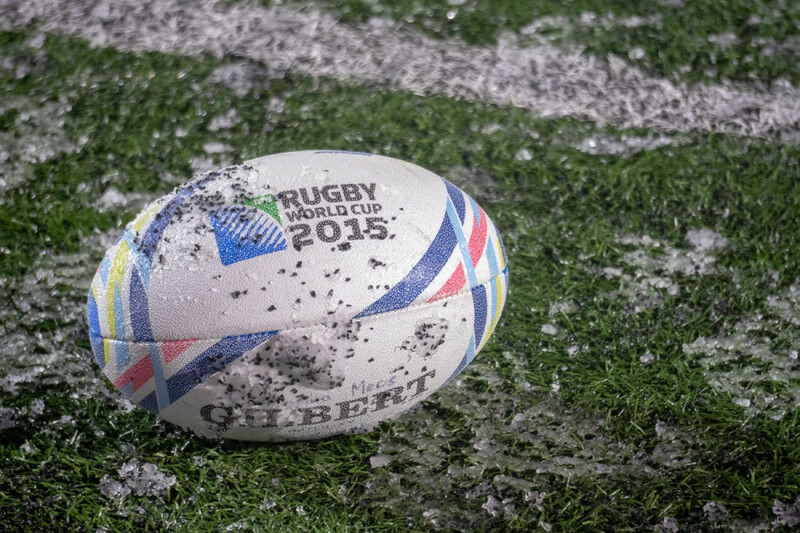 It helps that the Canadian Rugby Foundation takes on a large portion of costs for things like travel, hotels, etc. Hosting nationals may, like the Stingers two undefeated seasons and recent men’s rugby 7’s championship, be a recent development. But it comes from a long term effort and culture development that McGravie credits to people within the program like men’s team head coach Craig Beemer. The name Concordia has developed a real meaning in the Canadian rugby world. Its reputation is stronger than ever. This played a big part in getting them hosting duties and hosting will only help grow that reputation. Rees noted that one of the national tournament’s motivating forces were to have programs from all over Canada measure themselves up against the best, find out where they truly stand, and, eventually, improve themselves as a result. Concordia’s done just that. They’ve dominated at home and, while they have fallen short at nationals, have taken steps to be able to compete with top teams in Canada. Nationals is also a big opportunity for Rugby Canada and university rugby in Canada as a whole. Rugby Canada gets the chance to see a best on best battle of university players and evaluate their options for upcoming world rugby championships and team Canada. “We see a lot of emerging players that have come through the university system now serving our national team. So we know it can be a fruitful breeding ground for players,” said Rees. University teams get a chance to show their talent level, potentially play their way into the national program, and upgrade the profile of university teams as a whole. It’s helpful since university programs have become a strong pipeline for both the national team and the Toronto Arrows, Canada’s first professional rugby union team, according to Jeff Chan, the co-founder and and chair of the 2019 organizing committee of nationals. Along with university rugby getting more on the map, so is Quebec rugby. “It’s a little bit behind in terms of development in Quebec. But it’s coming along quickly. What I’ve noticed in the first two championships is that the quality of play in Quebec and the Maritimes is really improved a lot,” said Chan. It’s not always easy to compete with the level of prestige and funding traditional schools in Ontario and B.C. Quebec isn’t traditionally looked at as a competitor or companion to these schools. But with the quality of rugby in Quebec continuing to improve, the hope is that the national championship will play a part in changing that. “It wasn’t just that we wanted to have a championship. But having a national championship was a way to improve the calibre of men’s rugby across the country and not just leave it in its traditionally strong areas,” said Chan. That effect can already be seen. Programs that wouldn’t have considered it just three years ago are happily coming to play preseason games in Quebec. They know the competition will be strong and that they’ll be playing in a province that can test them. These are strong strides for a province and level that have often been overlooked. “Long may it continue,” said McGravie.